We are continuing our series of the Digital Scrapbooking kit week!. 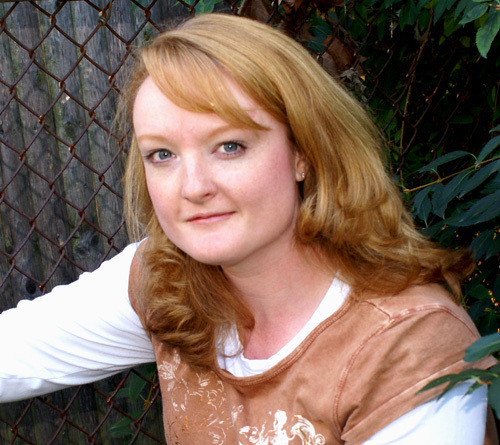 I’m happy to introduce this wonderful Artist Jessica Ripley! When I asked Jessica to help with our series, I was excited to see how she changed the colours of the kit to make it fit her theme.. This is another beauty of using a Digital Scrapbooking kit, if the paper doesn’t fit your theme instead of changing the colour of your pictures, change the colour of the paper to match. Please help me Welcome Jessica Ripley! Don’t forget to leave her a comment on her blog..
1. Print chosen patterned paper on white textured cardstock and trim to size (such as 8″ X 6″ to make a 4″ X 6″ card when folded). 2. 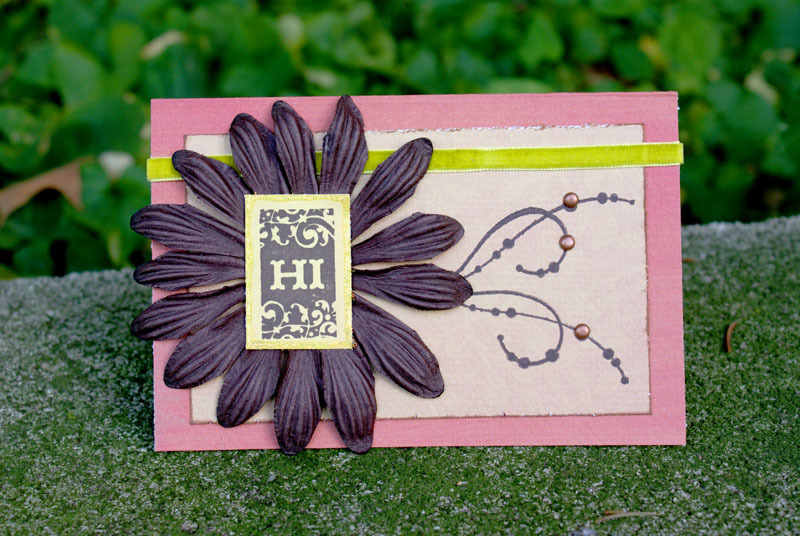 Stamp sentiment in upper right corner of folded card, decorate with glitter glue if desired. 3. 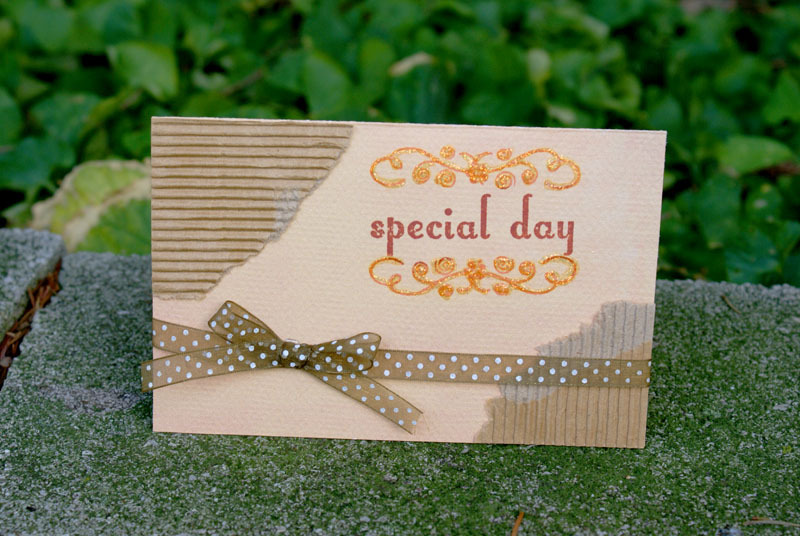 Trim corners of a sheet of corrugated cardboard (such as The Paper Company’s), and attach to card with Glue Dots. 4. Tie ribbon around front half of card in a bow, attaching the knot to the card with a Glue Dot.